The Belladonna Rattan Sofa is an original design by the renowned Italian architect and designer Franco Albini and Helg Franca in 1951 and now manufactured exclusively by Sika Design. 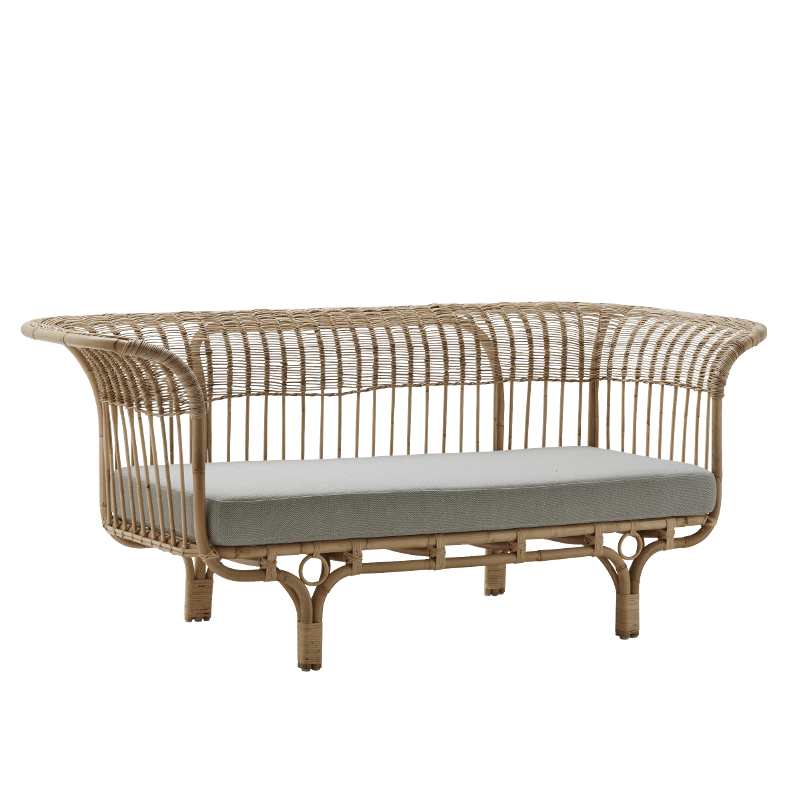 Constructed in natural rattan wood with the either an ivory or charcoal chenille seat cushion. This sofa breathes a real rustic charm and freshness into your interior. This really is a stunning piece, that would work equally well in a London apartment or in a mountain chalet. Mix with some Elitis cushions for heightened impact. For more from this wonderful Danish design house see here.